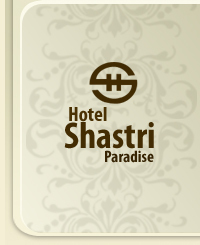 Hotel Shastri Paradise combines elegance, tradition and comfort with modern business facilities. Ideally located in the main business centre area, the hotel is totally adapted to the international business and leisure guest requirements. At Shastri Paradise Hotel, fine hospitality and guest comfort are the foremost concerns as we want you to experience the Indian hospitality. Hotel Shastri Paradise provides an environment of unparalleled beauty and luxury. 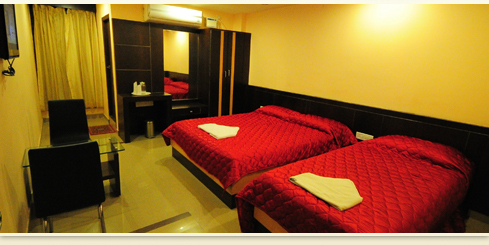 Hotel Shastri Paradise is proud to provide guests with the finest in accommodations and services. Hotel Shastri Paradise, one of the most prestigious organizations in the hotel industry, located right opposite to Mysore bus stand and the end for those who enjoy and value privacy, within the elegant ambience of an intimate city. It enjoys proximity to all places of tourist and commercial interest in and around Mysore. It is the ideal base for business travelers as well as family outing. Our infrastructure and the variety of services are ever multiplying with the change in life style of the people and the demand of the hotel and tourism industry. We have received high acclamation for our hospitality and other services by tourists at economy cost. Our hotel offer accommodations that meet the needs of every type of traveler, whether they are looking for the ultimate in luxury or simply seeking a good night's sleep in a fresh and clean hotel. Our hotel rooms are spacious, well-furnished and offer the guest an exclusive comfort. You’ll enjoy the convenience and luxury of stylish rooms, with modern decor. Our philosophy veers around providing Quality Service at affordable rates to our esteemed clients and in attending to their requirements and needs. This is achieved through carrying out a constant review and upgrade of the facilities offered at our Hotels. In the words of the Founder Promoter Mr. Ravi Shastri, "Our success is qualified to a grouping of multiple things, including hardwork and determination, positive thinking, sincere approach and a desire to serve and social responsibility." Our team of vigilant executives attends to your concerns no matter what hour of the day. Their courteous conduct and warm attendance exudes a home-like atmosphere. Your safety and hygiene are some of our foremost concerns.